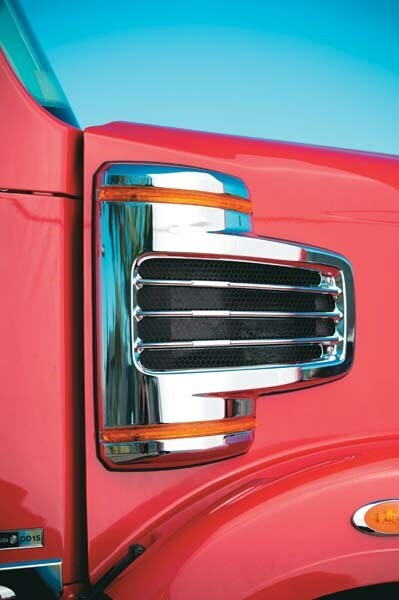 It’s one of the best-known brands on the global trucks market, and is part of Mercedes-Benz to boot. 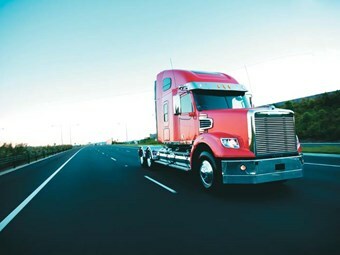 Now the Freightliner Trucks Coronado range is about to get a bigger presence in the Australian road freight sector. Gary Worrall reports. The arrival of the larger-framed Freightliner Coronado means the Cummins diesel truck engine option is back. For many years there was a rumour among transport journalists that the next Daimler Trucks press conference would confirm the arrival of the 'big' Freightliner trucks from the US. But then journos would head home still not knowing when the moment would come. Things began to change with the demise of the Sterling brand, which had literally done sterling service for Daimler, especially in Australia, as a vocational truck popular with tippers, agitators and car carriers. 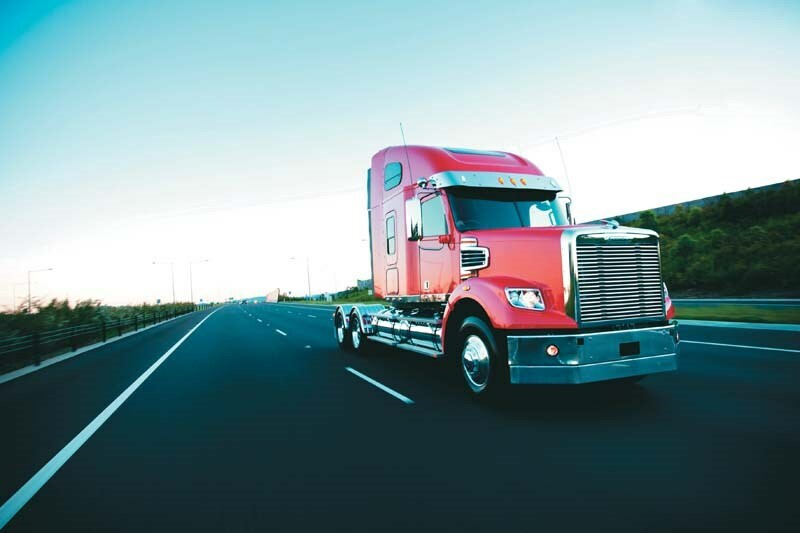 Then Ken Matthews, Managing Director of Mercedes-Benz Commercial Vehicles Australia-Pacific, said a US Freightliner would be part of the mix to replace the Sterling brand and the question suddenly became when the big-bonneted trucks would arrive in Australia. By early 2010 the word was out: the Coronado would be gracing rounds down-under with its considerable presence in 2011, complete with the all-new Detroit Diesel DD15. 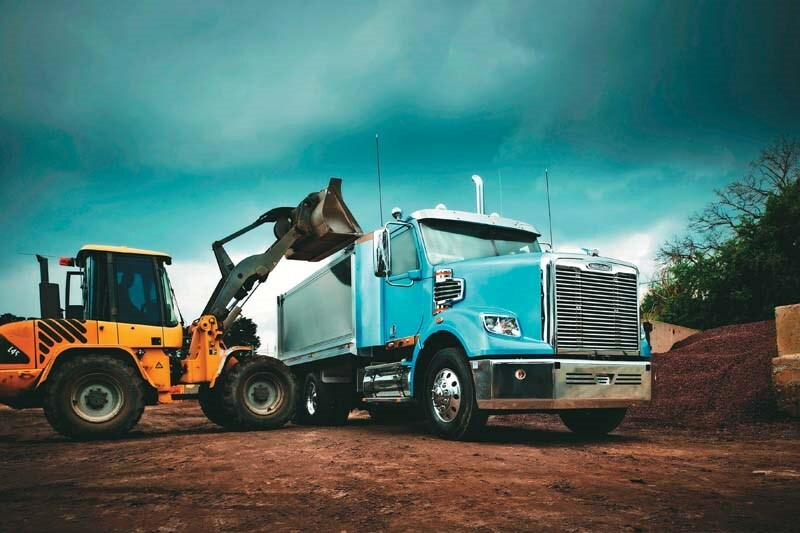 Along the way, the Freightliner website began a 'teaser' campaign aimed at building the buzz among drivers and operators alike, wherein the new truck was revealed piece by piece ahead of the launch. Finally, with 2010 drawing to a close, journalists were invited to Melbourne on December 1 for the official press launch, where the Coronado and Coronado SD (Severe Duty) met the media for the first time. Reinforcing the importance of the Coronado in Daimler Trucks' plans, Mercedes-Benz Australia/Pacific President and CEO Hans Tempel attended the launch and personally handled the first phase of the event. 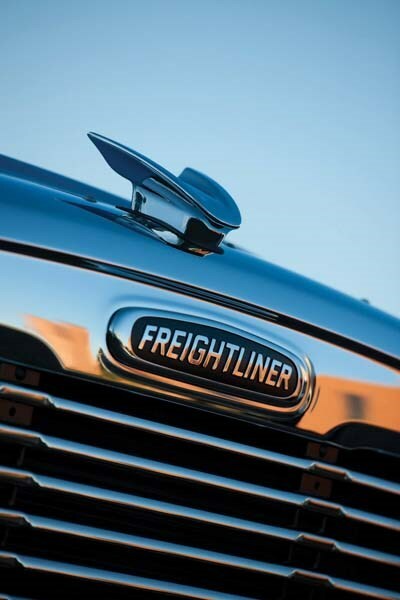 Describing the launch of the Coronado as a "significant event" for Freightliner in Australia, Tempel said the entire model range will be replaced over the next 18 months as Daimler Trucks looks to increase the awareness of the Freightliner brand in Australia. Despite Freightliner's relatively brief exposure to the Australian market, with the first FLC models only arriving in 1991, 11 years after Daimler Trucks purchased the company, the brand soon developed a loyal following. Tempel says this loyalty has been strained in recent years with a gradual reduction in the model range, leading to questions from customers and dealers about the value of the brand and the company's commitment to the market. To address these concerns, Tempel says the Coronado is intended as a 'flagship', with the new models drawing from its appeal. Carlo Beltrame, Senior Executive for Daimler Trucks, acknowledges the departure of Sterling from the global market has caused problems in Australia but is confident the total offering, across Fuso, Freightliner and Mercedes-Benz, has enough options to cover the gaps. With the 'BRIC' countries - Brazil, Russia, India and China - identified internationally as the global growth markets, there is confidence Australia will soon be part of this segment, thanks primarily to demand for coal and iron ore. This confidence comes at least in part from a pre-launch order by transport giant Linfox for 50 Coronados, which will see service pulling road trains in a subsidiary operation working predominantly in Western Australia and South Australia. Beltrame says "300 plus" units is "not beyond the realm of possibility" for the Coronado, while Tempel says the overall goal for Freightliner is 1,500 units. "We hope to recapture 100 percent plus, of the previous Sterling market," Tempel says. Despite Daimler owning Western Star globally, for Australia, the trucks are distributed by a local importer. This creates the odd situation where the brand is a competitor with other Daimler brands and rendering overseas marketing plans (which include Western Star as part of the product mix) unusable on a local level. 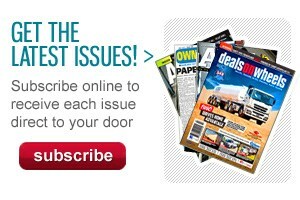 Tempel says in Australia Western Star is viewed as a cousin. Although he makes the point that "even in a family, brothers do not always see eye-to-eye" - Western Star is not considered an enemy. "We are aiming for a 33 to 35 percent Daimler footprint in Australia, which includes all the brands, Fuso, Freightliner, Western Star and Mercedes-Benz," he says. Perhaps not surprisingly, given the US is the home of the phrase 'upsizing', the Coronado is a big truck. There is no doubting that Daimler Trucks staff are proud of it. Rod Bartolo, Freightliner's Senior Manager of Certification and Truck Operations, says the build quality of the Freightliner is much improved over previous versions, with the company recognising the increased quality of the competition, both in the US and Australia. Although only minimal road testing of the Coronado actually happened in Australia, Bartolo says there has been plenty of long-term testing in the US. This includes on the road, at high altitudes, in hot conditions and in the laboratory on so-called 'shaker' rigs that simulate a variety of road conditions. Beltrame describes the Coronado range as an "instant classic". The two models are able to tackle all manner of tasks, from vocational work, such as quarrying and forestry, through to highway haulers pulling general freight. The Australian-spec Coronado is actually an amalgam of three different overseas models with the best features selected to make one truck for Australia. Bartolo says this gives Australian operators the benefit of set-back front axles, which in turn allows for a lower radiator position, which then produces a lower bonnet line, giving the driver a better field of view. Other differences for Australia include a unique exhaust position, as well as the cab sitting 50mm higher and 50mm further back compared to US models. Bartolo says the extra 50mm of height plays an important role by helping to extract hot air from the engine bay and away from the sleeper area for improved driver comfort. There was some debate among executives on whether the trucks should be renamed for Australia but the decision was made to stick with Coronado. The name is a tribute to the first European to explore what is now the Arizona and New Mexico regions of the US. Even before the driver's door swings open, the Coronado makes an impression. The one-piece fibreglass bonnet pivots upward to 90 degrees, making engine bay access relatively simple, while the one-piece design makes repairs easier in the event of damage. The bonnet also features twin air 'pre-cleaners' mounted on each side, protected by chrome grilles to reduce the amount of water and dust entering the bonnet plenum, which slows the airflow to further eliminate water and dust so that only dry air reaches the actual engine air cleaner, extending its effective lifespan. As well as improving the aerodynamics, the new system is more efficient than older-style external air cleaners. There are 1,900 square-inches of radiator. Bartolo says using splayed mounts on the nose of the chassis rails offers a level of future-proofing to Freightliner engineers, as regulators contemplate the development of ADR 80/04 regulations for later this decade. The radiator is also mounted directly to the engine, with the shroud drawing the heated air out of the radiator and directing it out of the engine compartment. For improved steering feedback and feel the Coronado features twin steering boxes, one on each side, a fitment first pioneered on the Century Class trucks. The 50-degree wheel cut is expected to reduce the turning circle. The standard chassis uses single rails. The Severe Duty version gets double-skinned rails as well as heavy-duty axles and suspension to cope with the workload. The Severe Duty version boasts a GCM rating to 140 tonnes, up from the standard Coronado's 90-tonne approval. Another issue for the engineers was packaging the various ancillary items without exceeding axle masses, particularly over the steer axle. A good example is the location of the batteries. On day-cab versions and models fitted up with either the 34-inch or 48-inch mid-rise sleepers, the battery box is under the left-hand step, while all other models have the batteries mounted in the chassis rails just ahead of the drive axles. The cab assembly sits on 'pillow blocks' to create the additional 50mm clearance, which not only aids airflow but provides additional insulation from road shocks for the occupants. Other improvements include better connections and seals on the electrical and air lines running into the cab, with single entry points the norm. It is all aimed at reducing the amount of dust, noise and vibration getting into the cab. Like virtually every truck on the market, Huck bolts are used throughout the chassis for increased longevity and reduced maintenance. Inside the cab, Freightliner designers have also had a free hand to develop an interior that is both comfortable yet functional, including a choice of studded vinyl or hard-wearing cloth trims. They've opted for tough, injection-moulded plastics in the dash panels, these also feature Oregon burl wood trims and accents. Following the example of the Argosy, the Coronado dash uses a minimalist approach to gauges. The driver faces just a few dials conveying all the most important information. The gauges have ivory-coloured faces for easy reading in all light conditions. Each is front-loaded to make servicing simpler. In what seems to be something of a trend among US manufacturers, the Coronado uses the steering wheel as one of the handholds for entering and exiting the cab. An extra grab rail is being considered by local engineers but must be designed to clear the steering wheel while not creating a blind spot. The driver and passenger seats are comfortable Ezy-Rider II air-suspension units including lumbar support, a bonus for operations on unmade roads and even some on-highway operations running on roads where repairs have not kept pace with potholes and corrugations. Alternatively, the passenger seat can be replaced with a non-suspension unit that has a toolbox under the seat base. Among the driver comforts are power windows on both doors, central locking and power adjustment of the chunky Euro-style door mirrors. All the controls are mounted on the door for ease of access. The car-like air-conditioning outlets offer multiple adjustments, allowing both driver and passenger to personalise the airflow. There are also large outlets and controls in the integrated sleeper. The sleeper also makes use of sound-deadening materials in the floor, walls and roof for improved rest conditions. The cab and sleeper themselves are flush-fitted to further reduce noise and dust getting in. Inside the sleeper, Freightliner offers home-away-from-home luxuries including a folding second bunk for two-up driving operations, storage space under the bunk, clothing racks and a pull-out tray for completing paperwork. Importantly, the designers have made the most of the raised cab height and bonneted design to include a completely flat floor. The floor makes moving around the cab and into the sleeper easier, as well as allowing drivers to stand upright without feeling like they are on a balance beam. The two-piece windscreen not only curves around to meet the A-pillar, but has with a 24-degree slope to help reduce wind resistance and improve fuel economy. The cab skin is made from high-strength aluminium. The lightweight metal not only reduces the overall and tare weight of the structure, it also means the Coronado meets the current European crash tests. The doors also make use of aluminium skins with steel reinforcing for improved rigidity, reducing mirror shake and an improved seal as well as keeping the weight as low as possible. "There are also double seals on the door, which keeps the dust out of the cab more effectively," Bartolo says. While the Coronado itself is big news, Beltrame says the good news for operators is the choice between the 'in-house' Detroit Diesel DD15, offering power outputs between 500 to 560hp (373 to 417kW), or the ever-popular Cummins ISX15-litre. While the Cummins offers a greater spread of power ratings, between 485 and 600hp (361 and 447kW), the big news is that it is even available in the Coronado chassis. Bartolo says the Cummins brand was last offered by Freightliner in 2007, however the familiar 18-speed Eaton Road Ranger manual transmission remains, along with the Eaton Auto Shift complete with optional Smart Shift paddles shifters. The arrival of the larger-framed Coronado means the Cummins option is back. Beltrame is confident it will expand the truck's appeal. Importantly for operators, both the Detroit Diesel and the Cummins engine options are electronically upgradeable to the maximum outputs without requiring additional hardware. WOULD I BUY THIS TRUCK? It is early days for the Coronado. That 50-unit order adds weight to Beltrame's statement there are big plans for its future, including the introduction of a rigid version to replace the Sterling HX 9600 line. "We are not concerned at the possibility of diluting the Coronado nameplate by sharing it between premium trucks and also on vocational trucks," Beltrame says. In the case of the SD version, Beltrame says it has been built "from the tyres up" to cope with the "toughest kind of vocational roles". "And it looks so good … it is a truck that screams muscle." With the scheduled replacement of the existing crop of trucks, plus the availability of the new Detroit Diesel engine, Beltrame's optimism could well prove justified. As always, the final arbiter remains the hearts, minds and wallets of customers. 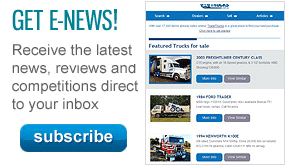 Find Freightliner Coronado trucks for sale. 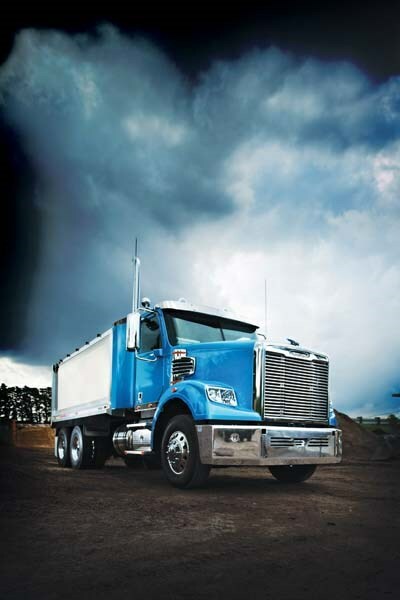 Search for new Freightliner Coronado specs.